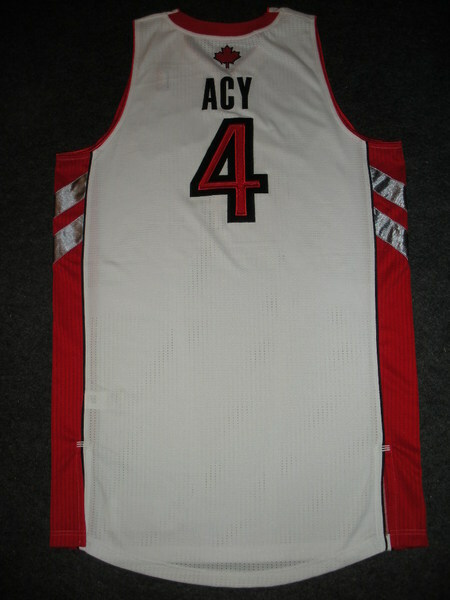 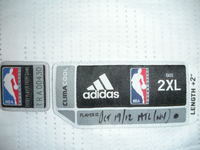 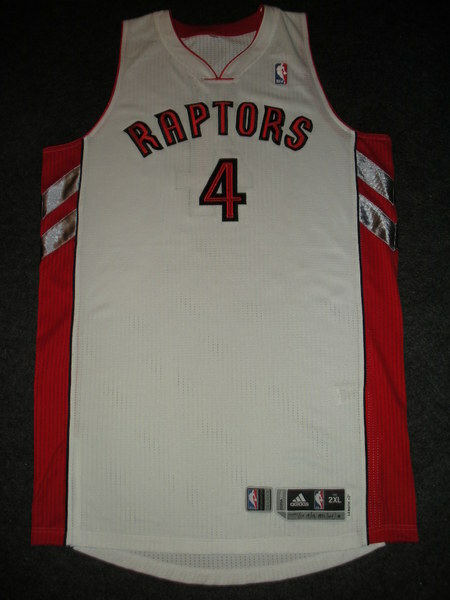 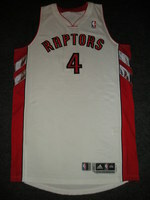 Acy was to have worn this jersey during the Raptors' 107-88 victory over the New York Knicks on October 19 at Bell Centre in Montreal, Quebec, Canada. 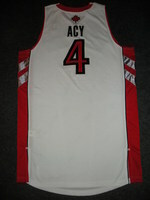 He dressed but did not play. 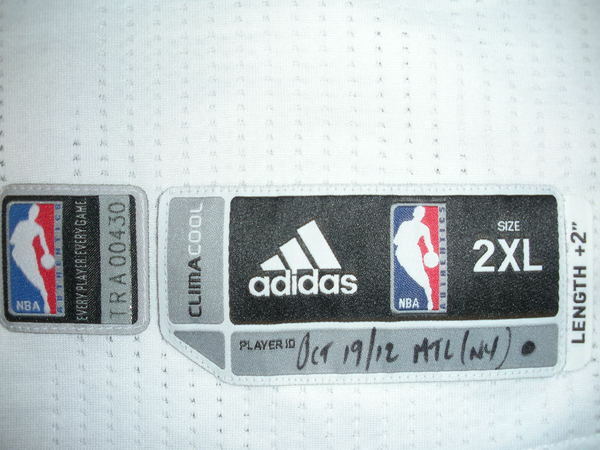 "Oct 19/12 MTL (NY)" is handwritten on the jock tag.